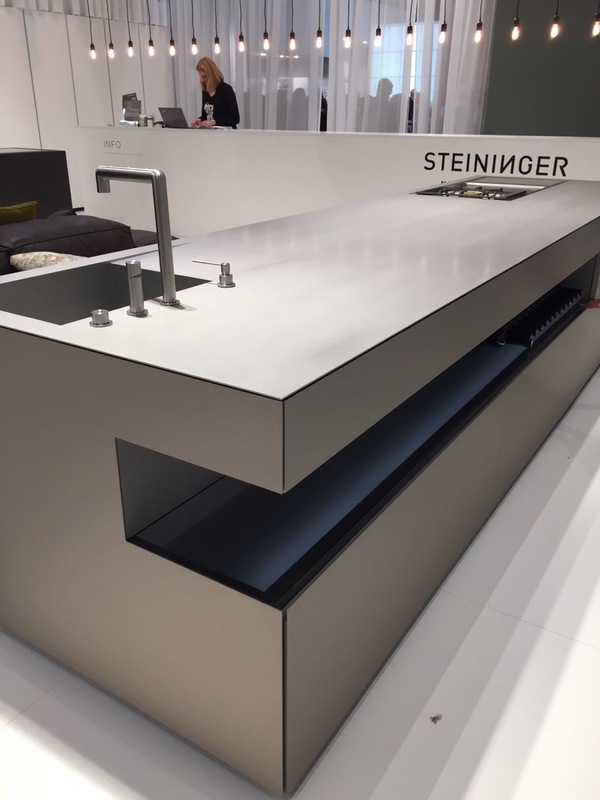 [16:50] The bare essentials are what the kitchen design from Steininger epitomizes, and finished in high-quality wood and steel, this is another treat for those who wish to go down the minimal path. 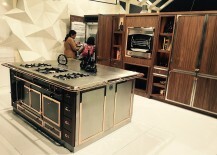 With ample storage space and hidden compartments, expect a few surprises as you explore these fab kitchen islands. 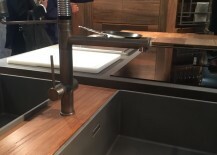 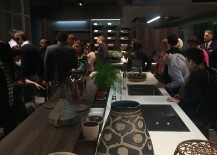 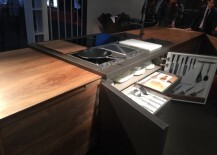 [16:25] Ernestomeda is all about the very best in the world of kitchen design, and the organized brilliance of the likes of the Barrique kitchen on display at this year’s EuroCucine promises to leave you mesmerized. 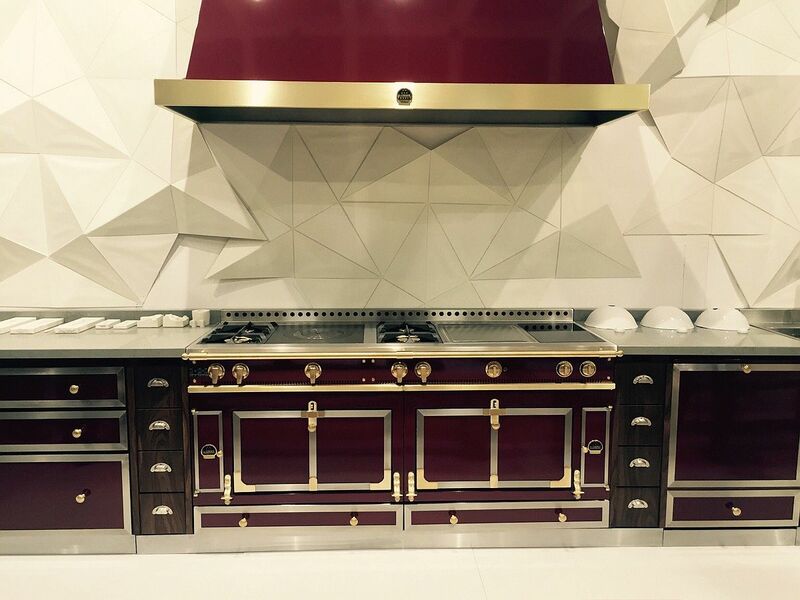 With a variety of textures, styles and a dazzling array of bespoke kitchen compositions, Ernestomeda unravels a world of endless possibilities. 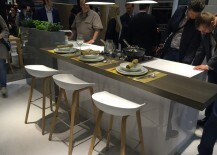 RiFRA – It’s a Milan Affair! 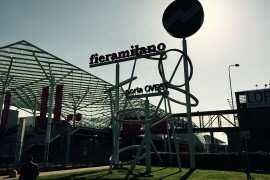 [16:12] You’ve likely heard of the ‘Italian Job’ before, but as soon as you enter the RiFRA stand, you are told about the ‘all Milan job’. 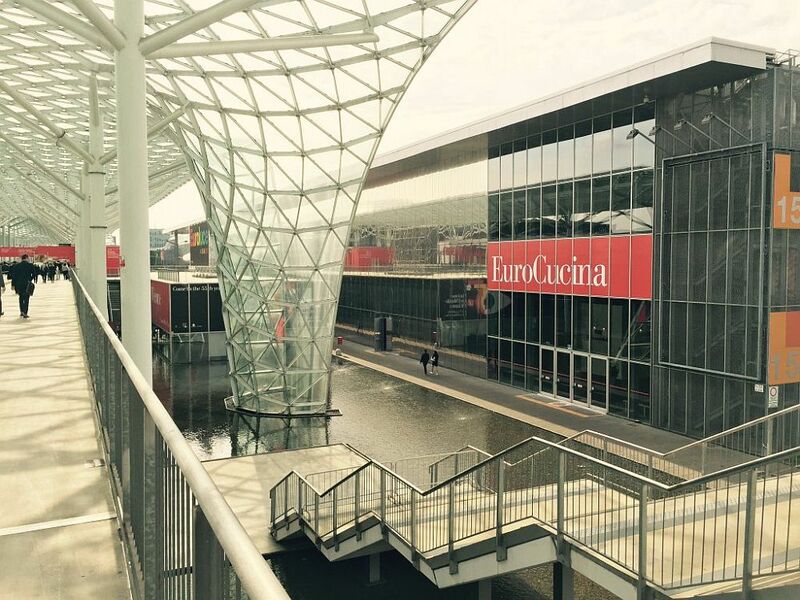 Basically, this means everything you see from RiFRA is produced from their world-class facility right here in Milan. 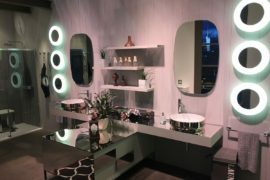 Of course, the company is as much about fabulous bathrooms as it is about elegant Italian kitchens and a whole lot more… Intriguing indeed! 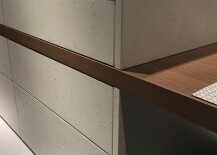 [15:49] Surely, no one who even casually follows the world of interior design can claim to be unaware of brand Snaidero. 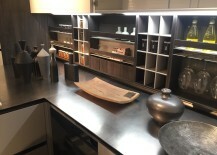 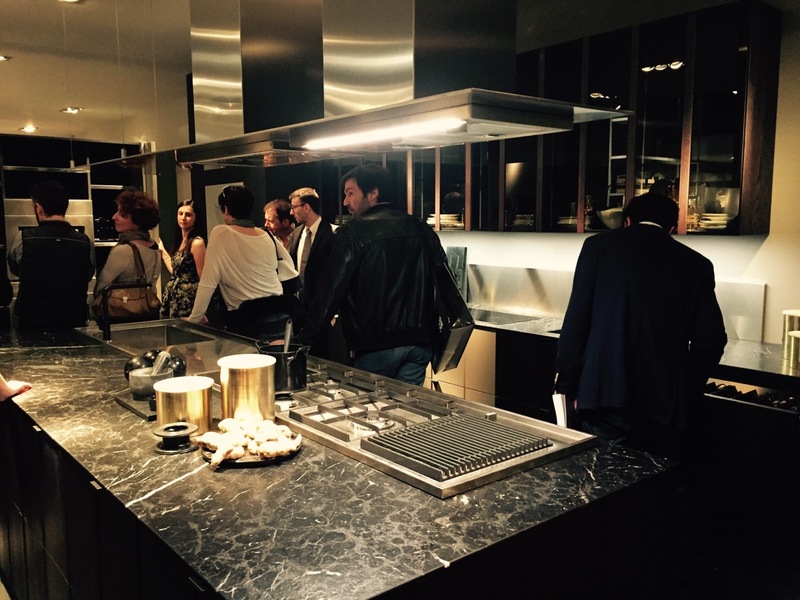 One of our personal favorites, they deliver every single time, and with the practical and beautiful Opera kitchen by Michele Marcon, they once again managed to turn heads at this year’s EuroCucina. 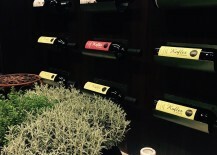 Of course, that should barely come as a surprise to those who know and love Snaidero. 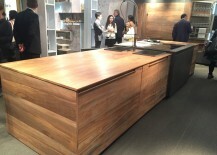 Toncelli: Kitchen Island from Fossil Wood! 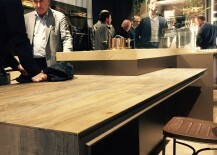 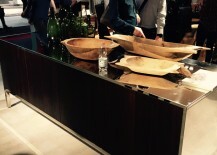 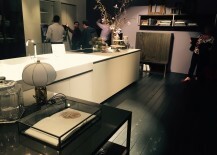 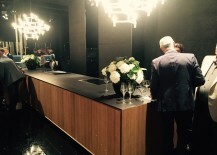 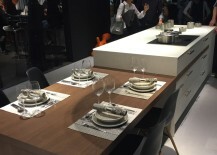 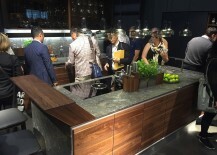 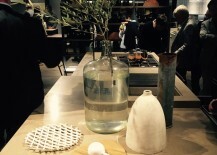 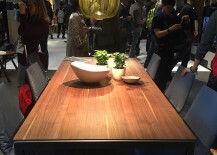 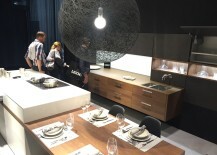 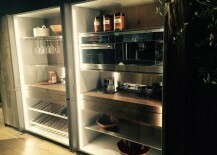 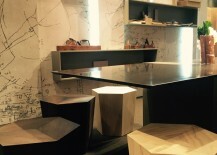 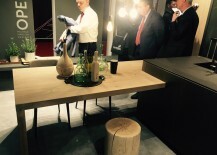 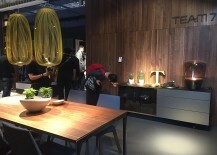 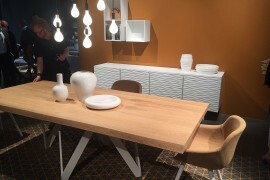 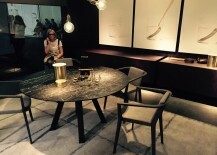 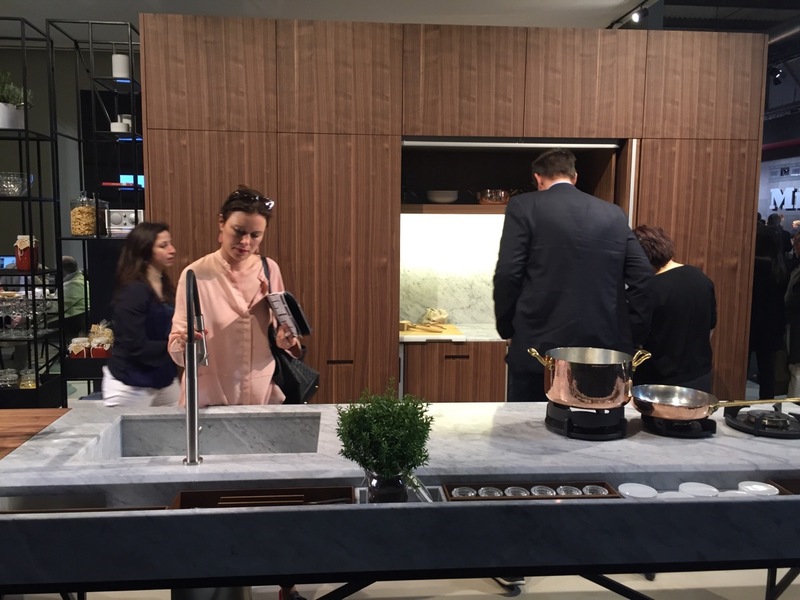 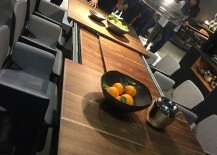 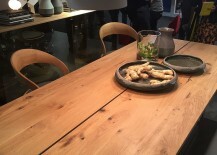 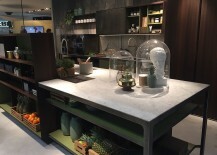 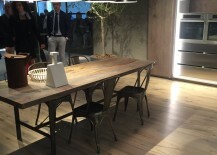 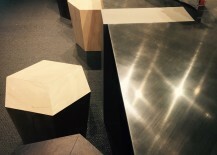 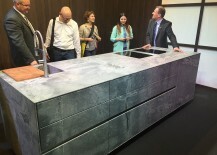 [15:37] Fossilized wood turned into a smart kitchen island: this is the story that will sweep you off your feet and leave you with lasting memories at the Toncelli stand. 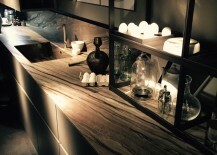 It is a wonderful story filled with passion, precision, and of course that rare spark of creative genius – something we come to expect from world-class Italian design. 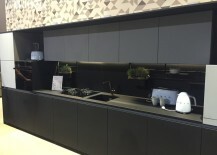 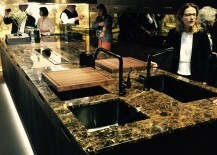 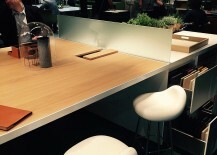 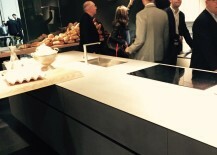 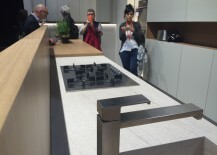 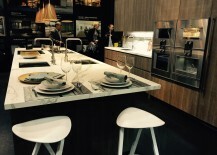 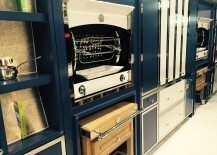 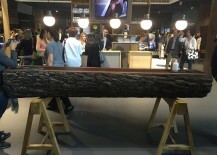 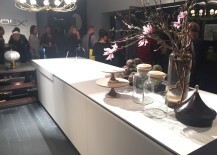 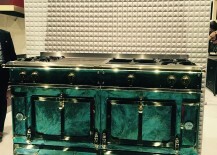 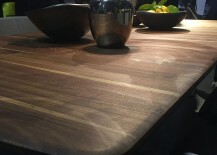 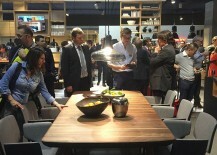 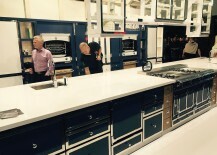 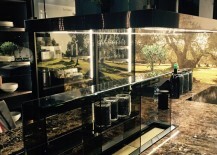 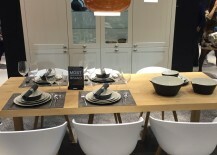 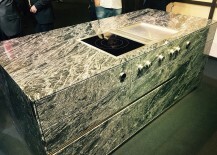 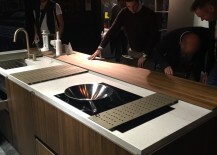 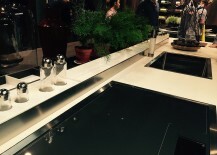 A special island for a special EuroCucina! 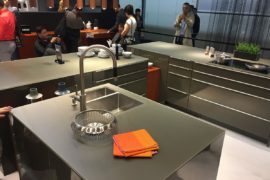 [15:19] From all the splendor of stainless steel and the marvel of futuristic kitchen designs, we step into the world of Dica. 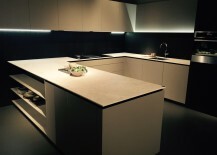 Simple, straight lines, a clean, minimal design approach and of course a promise of top-notch quality from Spain, Dica is for those who adore modern minimalism. 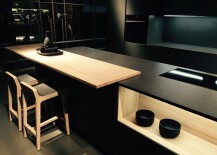 From vertical pantry designs to the refined use of wood, these kitchens do seem a bit inspired by traditional Japanese form. 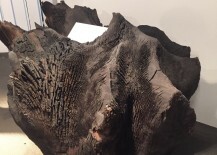 But there is plenty more to it than meets the eye! 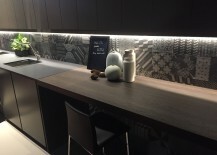 [15:08] Tomorrow’s kitchen is what greets you at the Arclinea stand, and you will soon find yourself in what seems like a design from another dimension. 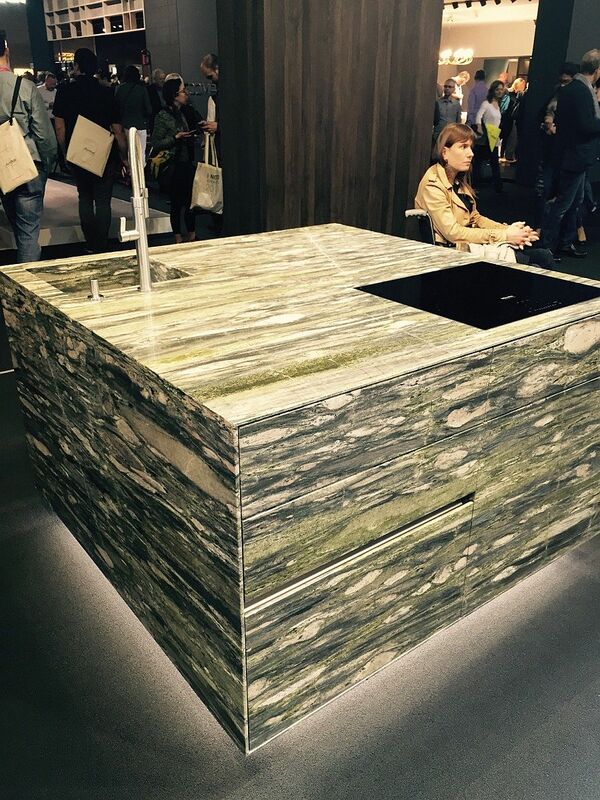 Combining gen-next aesthetics with a love for all things green, the PRINCIPIA by Antonio Citterio is the star of the show here. 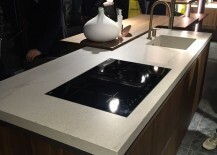 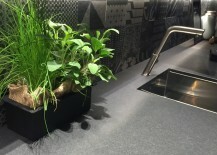 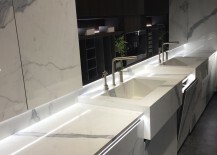 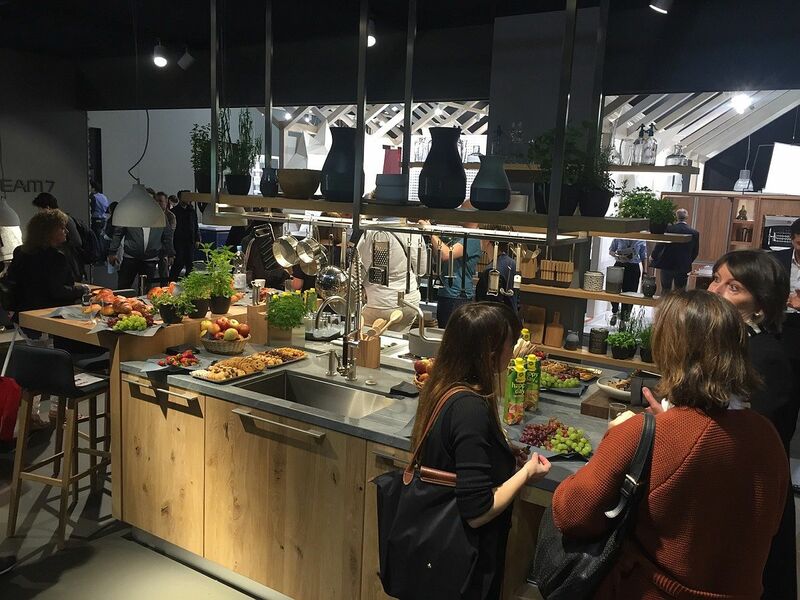 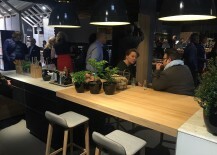 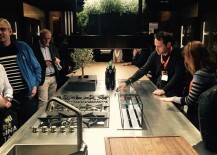 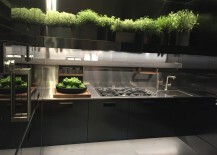 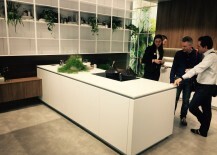 Bridging the gap between the outdoors and the interior and fitting into the current trend of smart kitchens connected with the landscape, this is another must-see at this year’s EuroCucina. 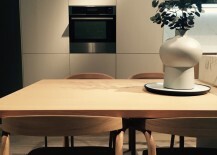 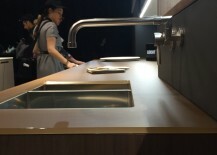 [14:40] Talk about creating a seamless interface between the kitchen and the living space! 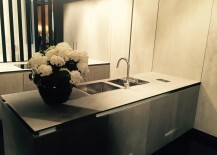 Alf DaFre and Valdesign accomplishes this even while turning the kitchen into the heart and soul of your contemporary residence. 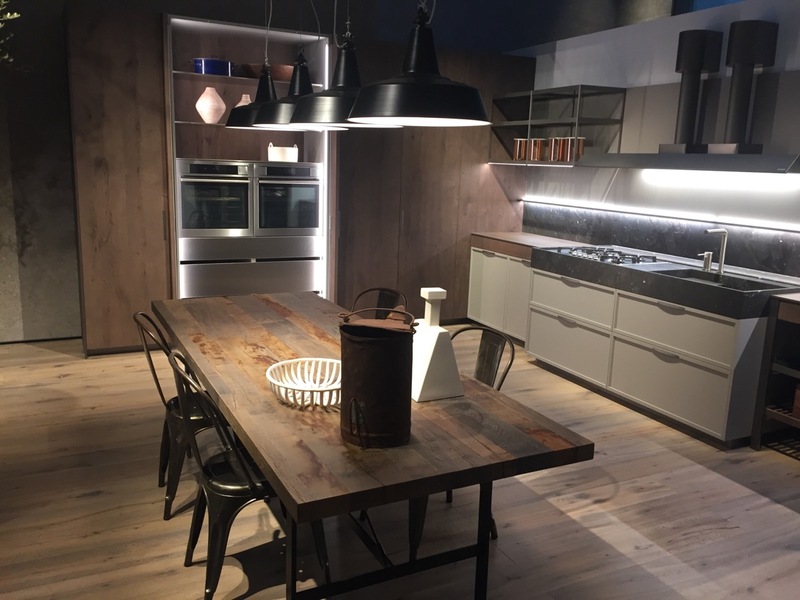 A perfect gathering spot for the family, a place to explore many tastes and aromas, and of course a space where technology is coupled with everlasting design to make your life a lot easier! 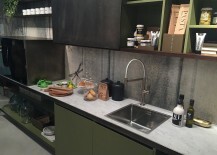 All this wrapped in Italian goodness is what you find at this stand at this year’s EuroCucina. 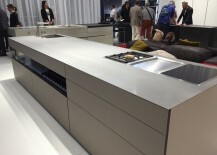 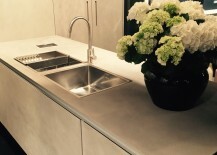 [14:19] Stainless steel is undoubtedly a popular material in the kitchen, and it is a sturdy choice that also adds a healthy pinch of metallic glint. 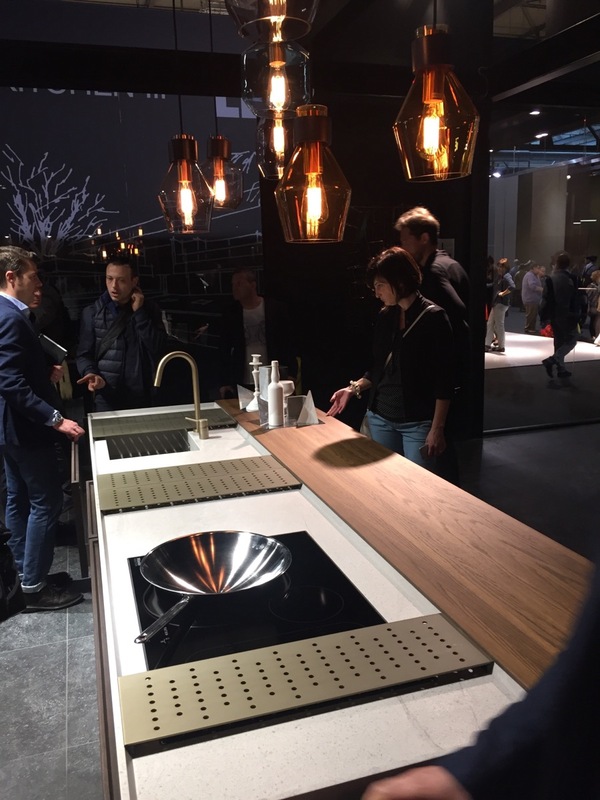 The sparkling series of kitchens from ILVE definitely bring this metallic heart to your home, along with a distinctly Italian soul and of course a hint of coziness. 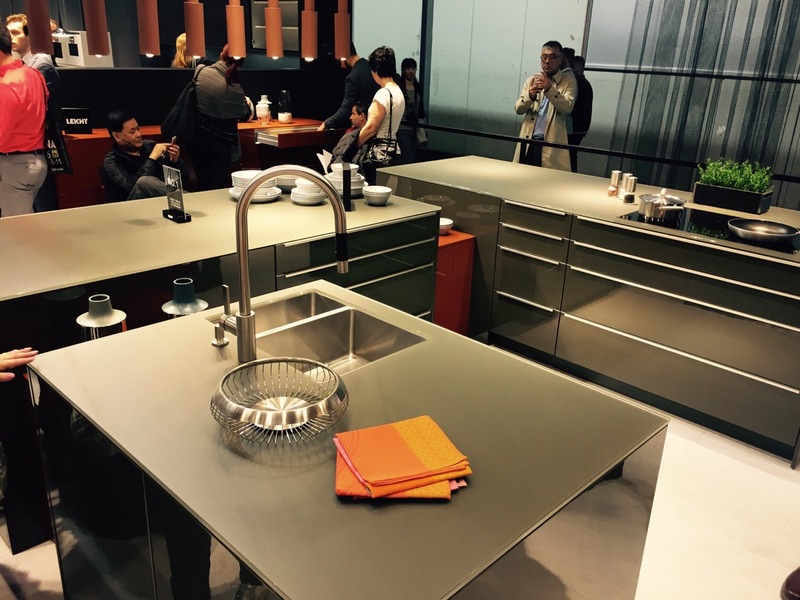 One look at these stainless steel delights at EuroCucine, and we are tempted to go down the metallic route as well… Simply seductive! 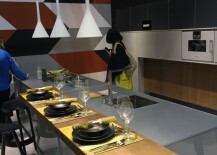 [13:58] Now it is time to put the sensible and space-savvy kitchen designs of Polaris under the spotlight. 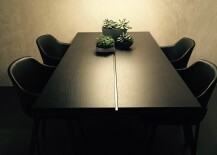 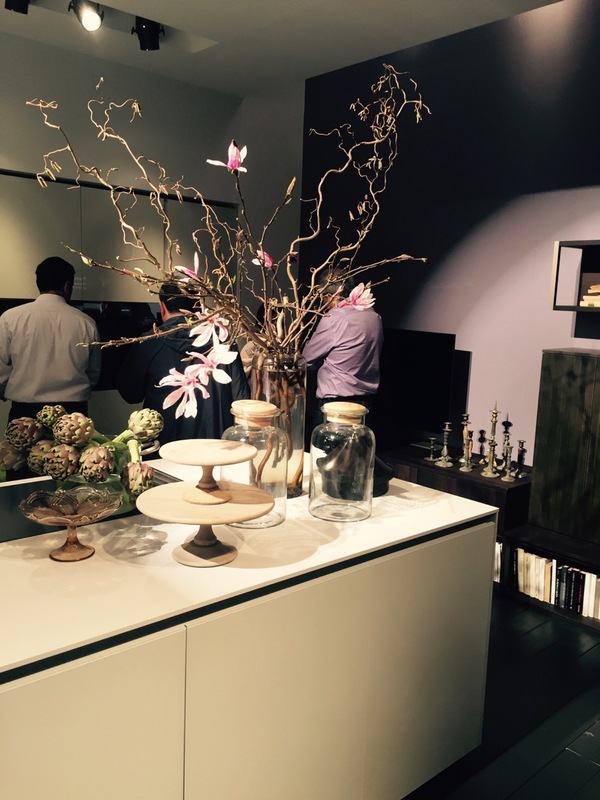 Working with wood to create furniture has always been a passion for us. 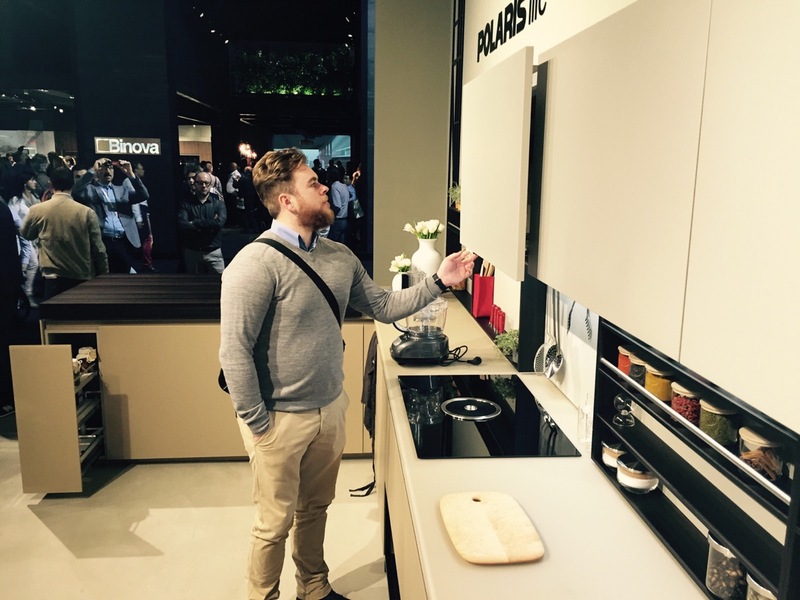 Starting from our high skills in the sector and following an entrepreneurial vision our family founded Polaris in the 1960s. 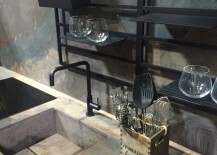 Our industrial setup brings together artisan tradition, the choice of raw materials and an environmentally sustainable approach to ensure the highest quality. 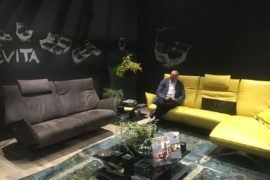 [13:48] At the Binova stand, one instantly admires the understated class, the precision and the wide range of modular solutions on offer. 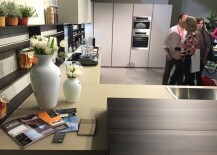 From kitchen islands that combine wood and fabulous marble worktops to fancy shelves and cabinets that disappear when not needed, the latest series of kitchens from Binova has it all. 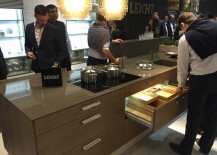 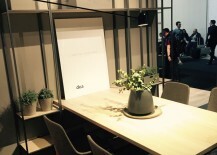 [13:33] If you are an avid follower of Decoist, then you will already be familiar with the name Leicht and the many kitchen storage solutions and smart islands that they offer. 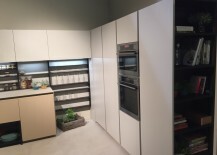 So versatile are these contemporary kitchens that you can even combine elements from two different models to create your own unique kitchen space! 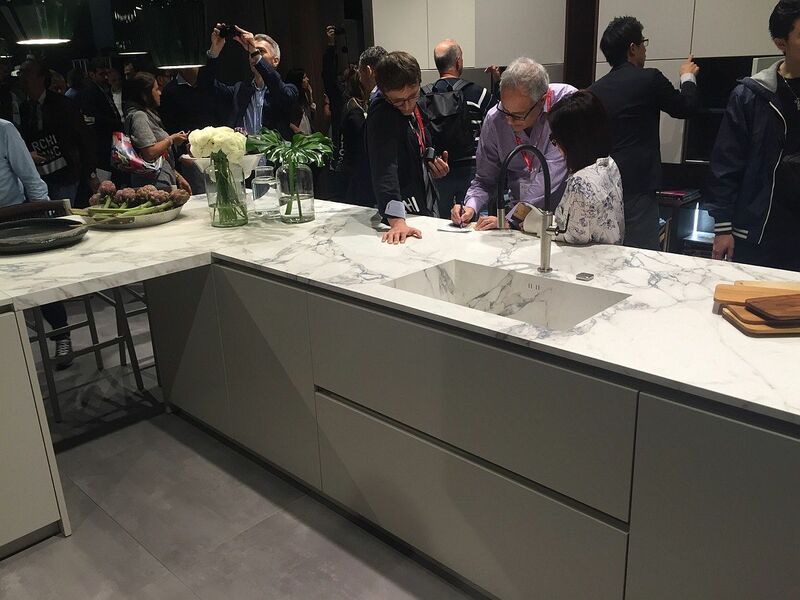 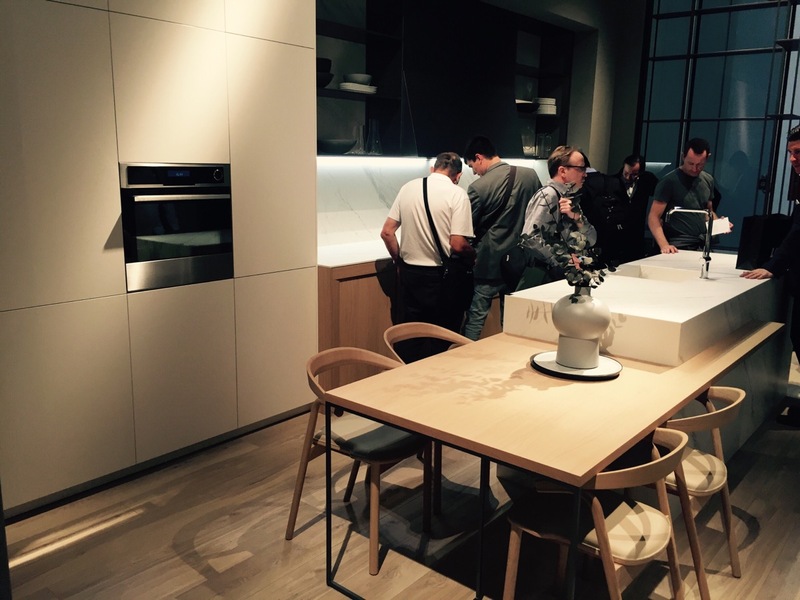 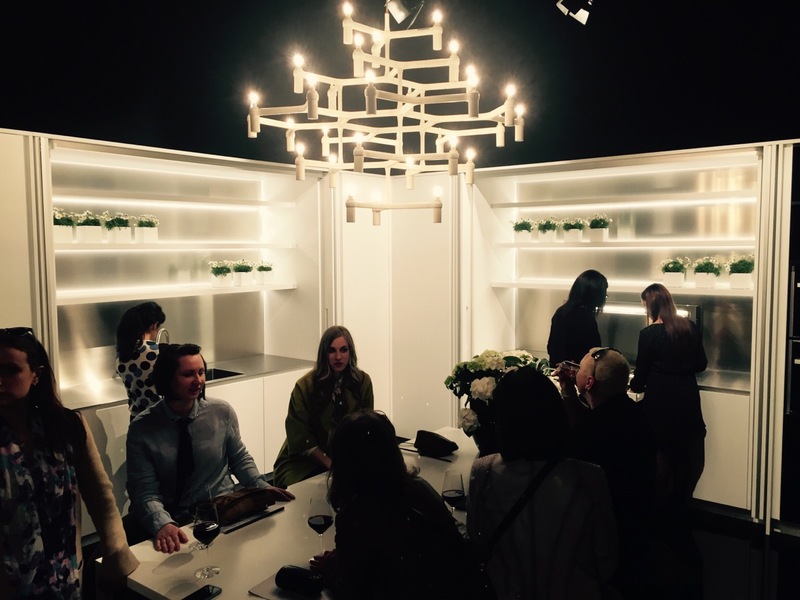 Of course, experiencing this firsthand at the EuroCucina stand takes your appreciation for these adaptable kitchens to a whole new level. 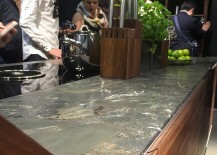 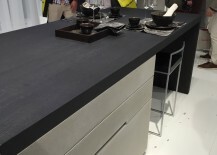 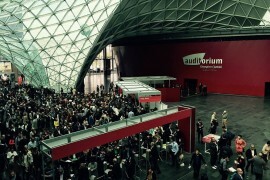 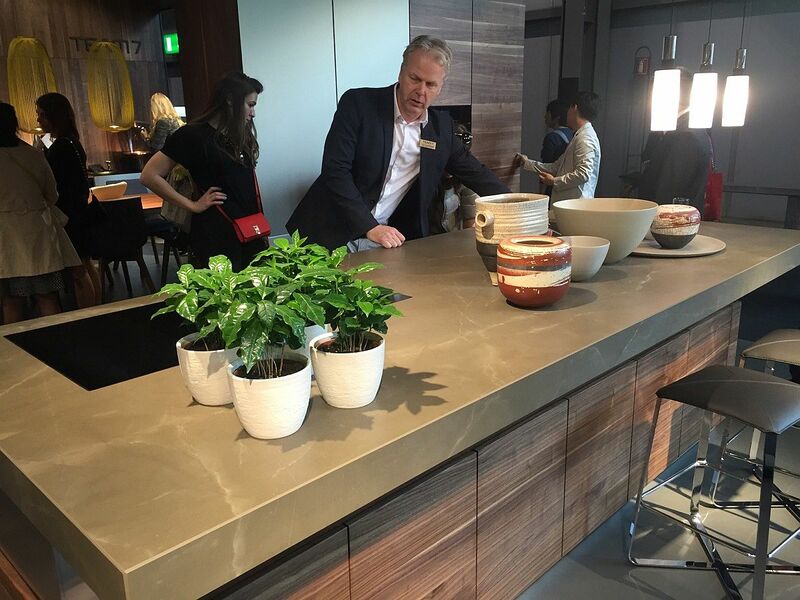 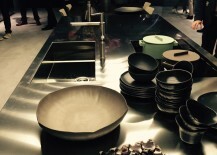 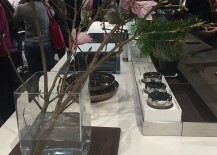 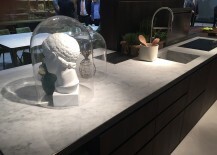 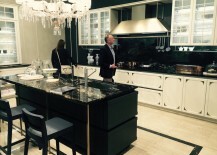 [12:32] If you love stone, then Strasser is the place to be at this year’s EuroCucina. 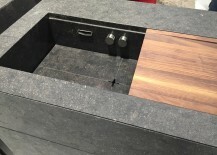 They definitely know how to bring the very best out of granite, and these marvelous islands are a testimony both to brilliant craftsmanship and their amazing ability to work with stone. 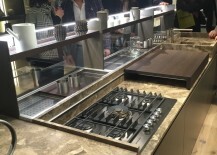 Add to this amazing cooktops, the very best possible modern features and a glint of LED lighting, and you have a truly unique and spectacular kitchen! 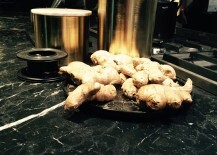 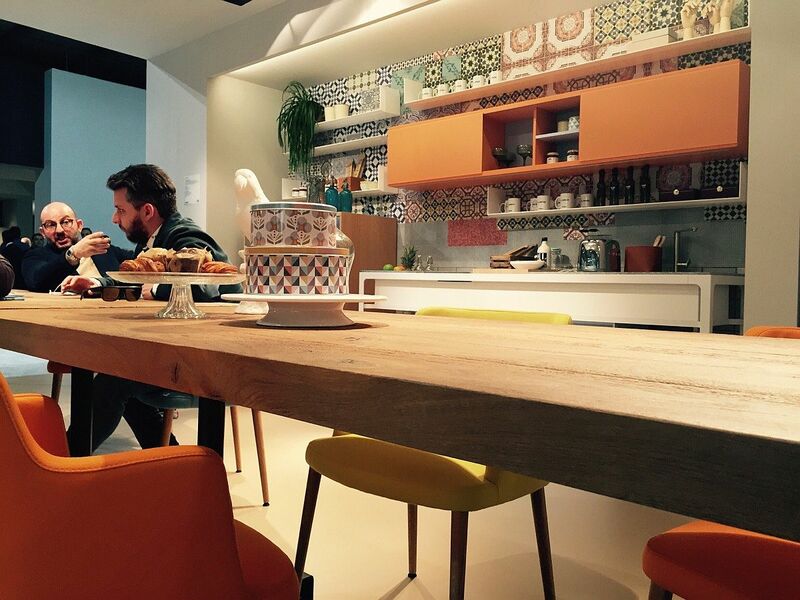 Delightful Estel – Coffice Anyone? 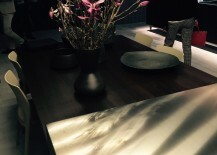 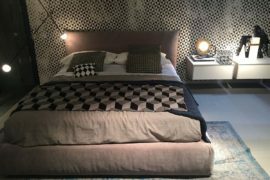 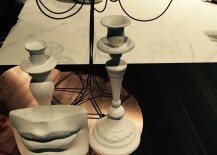 [11:57] A journey that began with home décor nearly 80 years ago has seen the emergence of the Estel Group – a name synonymous with top-notch home and office décor. 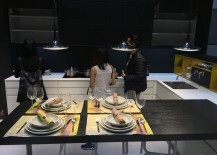 Having stepped into their stand at EuroCucina 2016, one is filled with a sense of cheerfulness, as casual elegance and colorful backdrops present vivacious office kitchen spaces. 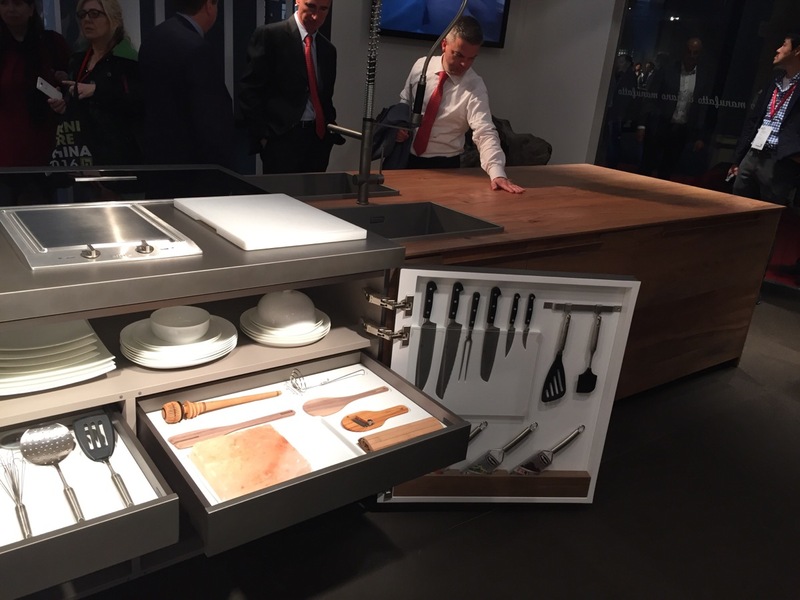 A perfect way to show the world that great kitchens can be a whole lot of fun as well! 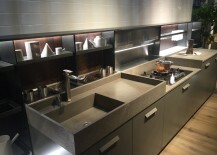 [11:46] We move on to the beautiful lineup of kitchen compositions and brilliant islands from Comprex. 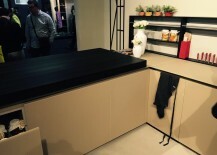 It is the series of minimal closed cabinets and open contemporary shelves that drew the most attention here. 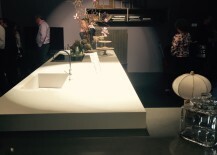 But then, the central island in white on display seems equally impressive and ingenious. 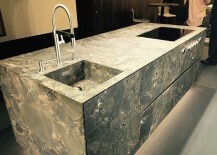 Maistri – A Blend of Textures! 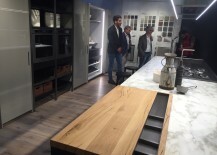 [11:33] It is easy to see why people fall in love with kitchens and interiors crafted by Maistri – a firm that made its beginnings from a small family-run carpenter’s shop several decades ago. 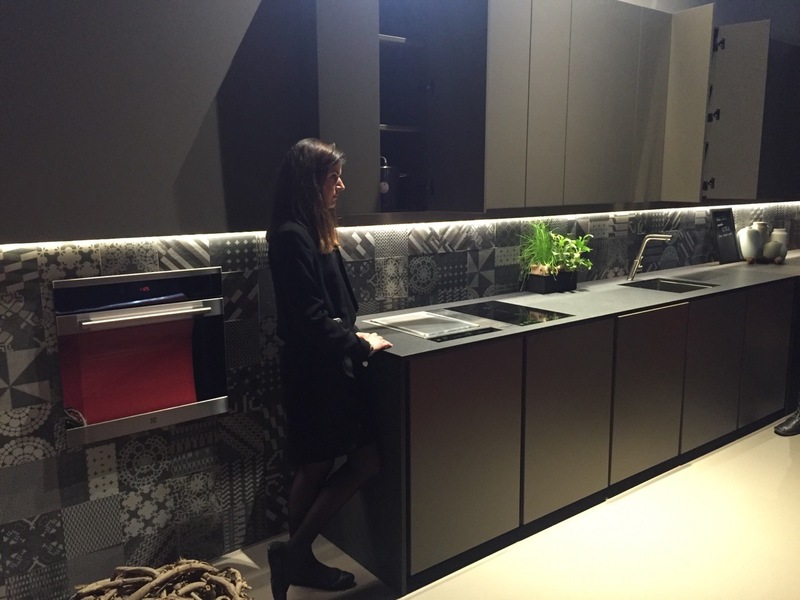 There is a certain dark charisma and textural beauty about these brand new kitchens from Maistri that shouts out sophistication. 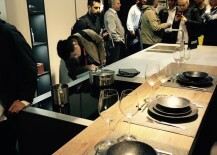 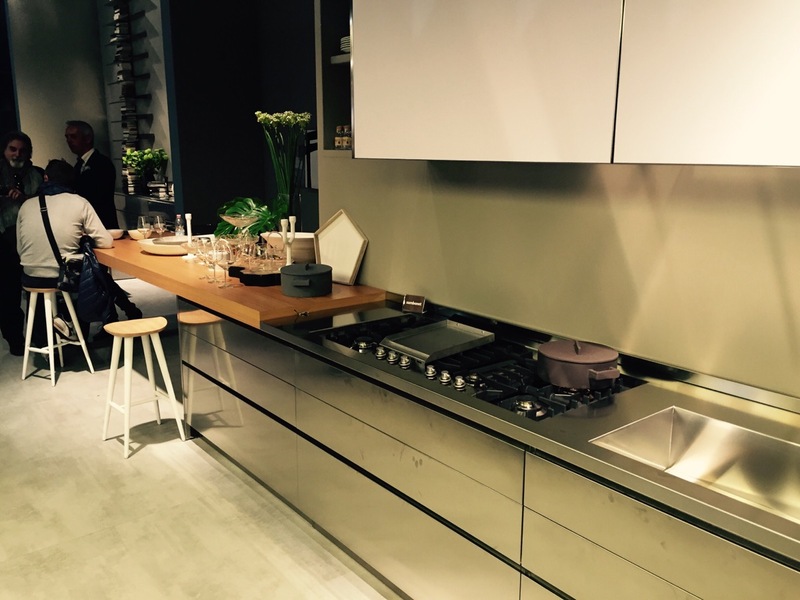 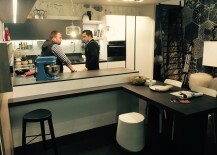 [11:23] If you are looking for inspiration to transform your contemporary kitchen, then a trip to the Pedini stand at EuroCucinna is an absolute must. 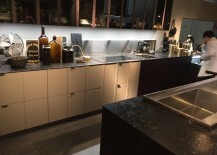 From the modern and sleek to the casual and inviting, there is something for everyone here. 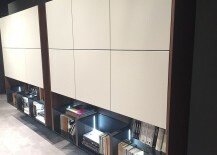 Of course, for those who cannot make it to Milan right away, here is a little preview of the Pedini goodness. 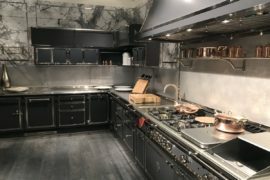 [11:08] It is easy to fall in love with a kitchen range that boasts the tradition, timeless aura, bespoke beauty and artisanal flair of La Cornue. 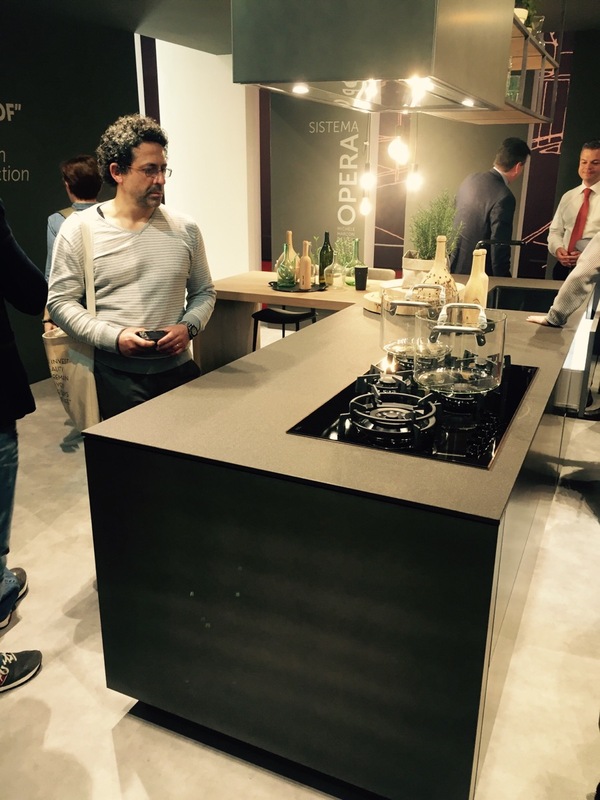 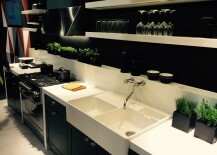 They once again managed to recreate this magic and turn heads at EuroCucina 2016 with their latest kitchen range that adds color, character and unique elegance to any modern interior – without ever compromising on top-notch functionality! 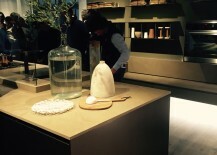 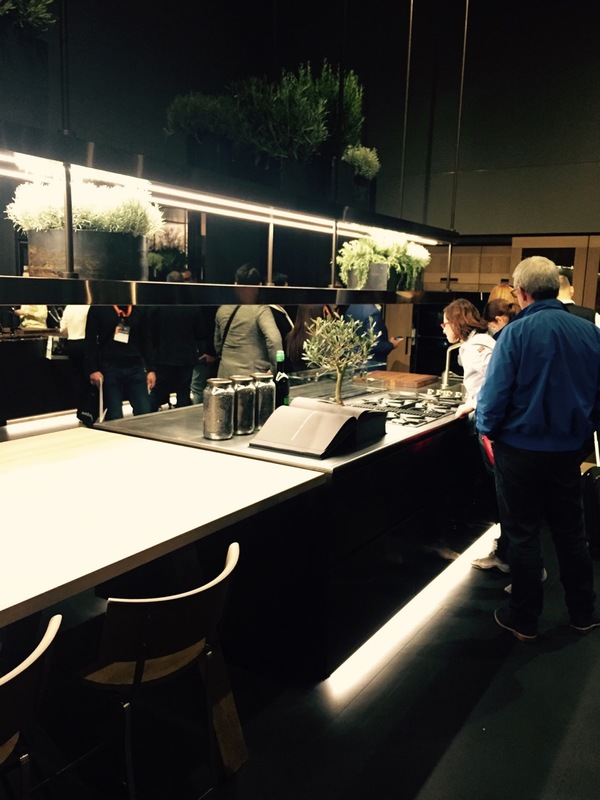 [10:53] We wrap up the day at EuroCucina 2016 with a look at the inviting, beautiful and elegant stand of Team7, which showcases a commitment to sustainable, non-toxic and organic kitchen design. 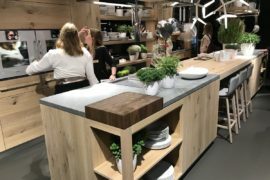 Combining pure solid wood with smart contemporary finishes and ergonomic form, these novelty design options promote the concept of a beautiful kitchen that is also healthy and harmonious.